München Wien Zürich: BLV Verlagsgesellschaft, 1990. BRAND NEW COPY w trace rubs to front corner tips. 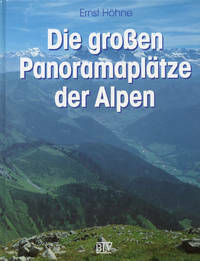 The author of this volume, a specialist in Alpine tourism, has selected 30 exceptional locations -- we know them as Vista Points -- for sightseeing and photography in the Alps. They range west to east from the Grand Tête de l'Obiou south of Grenoble to the Schafberg east of Salzburg. 167 mostly 3-column pages, with numerous color maps and illustrations.. First Edition, First Thus. Hard Cover. New/None as Issued. German Language Text. Hamburg, Germany: Saatkorn-Verlag, 1981. Text/BRAND NEW & Bright. ; German language. Softcover/VG; strong & sound w/light edge & surface rubs. 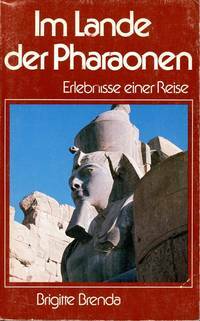 A cheerful account of the author's adventures with Egypt and Egyptians as she travelled up and down the Nile as a tour guide, holding Herodotus in one hand and the Bible in the other. 191 pages with Foreword, photographs and map.. Paperback. Very Good/None as Issued. Illus. by Frank Brenda (Photography). Text/German. Sanremo: Direzione Portuale e Administrativa, 1980. BRAND NEW COPY w/light surface wear to softcover. 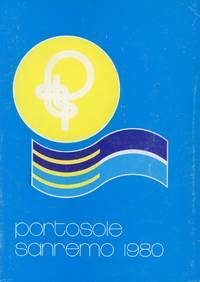 Issued by the harbormaster at Portosole, it contains port regulations and a multiplicity of aids (hours of radio transmissions, rules of the road, signal flags, etc.) for the sailor. In Italian, French, English and German. 112 pages with (contents), photographs, maps, plans, advertisements and (glossaries).. Paperback. Near Fine/None as Issued. Italian/French/English/German. New York: John Day, 1966. Text/BRAND NEW & Bright. Black linen boards/Fine. DJ/VG w/nips & rubs to upper/lower spine. 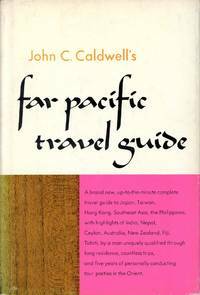 Travel guide to nations of the Far Pacific. Written in the early 1960s by the personable author of the "Let's Visit" travel series, volume is now a historical reference and resource given socio-political changes. 384 pgs, with maps, in 17 chapters covering Japan,Taiwan, Hong Kong, Bangkok and Thailand, Malaysia, and Singapore.. Unstated Edition. Hard Cover. NEW/Very Good. Vintage/Asia Travel Guide. New York: Random House, 1963. The travel pieces in this publication originally appeared in Curtis publications (copyrights 1953, 1955, 1956, 1958, and 1964), the Zero Press (1956), and Kulchur (1959). The titles are Fish Traps and Private Business (Ceylon); Africa Minor (North Africa); Noted Mailed at Nagercoil (South India); Mustapha and His Friends (North Africa); A Man Must Not Be Very Moslem (Istanbul); The Rif, to Music (Morocco); Baptism of Solitude (Algeria); All Parrots Speak (Polypatrial); and The Route to Tassemist (Morocco). 206 (+ ix, + unnumbered Contents) pages, with illustrations, and Glossary; plus an unnumbered page About the Author. Dustjacket is slightly discolored, and a nip at front lower leading corner, and a small chip at rear upper lagging corner; boards and text are clean and near new.. First Printing. Printed Green Linen. Very Good/Very Good. 8 3/8" Tall. Hardcover Travel. London, UK: Hodder and Stoughton, 1980. Text/BRAND NEW & Bright. Gilt embossed blue linen boards/Fine. DJ/VG; stron & sound wi/closed tears to upper front & upper spine corners. 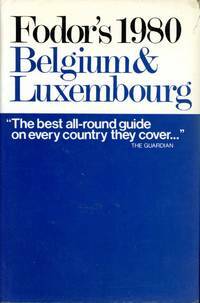 All one needed to know about traveling in Belgium and Luxembour in 1980 --- now a primary historical reference & resouce to some 30 years past. to these two smallest of countries in Europe. A comprehensive guide. 320 pages with Contents, Foreword, photographs, drawings and maps, Tourist Vocabulary and Index to rear.. First Edition, First Thus. Hard Cover. New/Very Good. Illus. by Keith West (Drawings). Vintage/Travel Guide. Munchen Und Bern: Scherz Verlag, 1967. Among the "Prominente" interviewed for this publication are Willy Brandt, Gunter Grass, Martin Held, Hans Werner Henze, Yehudi Menuhin, and Martin Walser. 222 pages, with prefatory matter (including a Vorwort by Rudolf Ossowski), and a Nachwort by the editors. Covers are rubbed and have small partial creases; text is clean and strong.. Illustrated Cardstock. Very Good/No Jacket. 8" Tall. German Language Softcover. Scranton, PA: International Textbook Company, 1906. Not the least interesting aspect to this untitled book is that it was printed by Allied Printing, a Union Trades Council shop in Scranton, probably in 1912, the date of the most recent copyright. The book itself is a collection of nine reference materials, six originally published by the Colliery Engineer Company in the U. K. from 1898-1901, and three by International Textbook. International, likely a competing U. K. firm in the correspondence school trade, with operations in the USA, seems to have absorbed Colliery around 1905. In any case, the book's a treat for railway fans.The topic headings (and approximate number of pages) are Locomotive Boilers (61); Boiler Attachments (150); Heat and Steam (26); The Locomotive (37); Valves and Valve Gears (125); Locomotive Management (75); Breakdowns (128); and Oil-Burning Locomotives (63). Roughly 675 glossy pages, with numerous (splendid) engineering drawings and occasional halftones; plus xxi pages Preface, and Contents (at front of book, to page vi), and Index (at rear of book, beginning page vii); Examples [exercises] at the end of each chapter. Boards show losses, wear, and splitting at leading edges and backstrap, otherwise sound; text has loosened at pages 3-6 of section 14 (Locomotives), otherwise strong; and text is clean excepting coloring-to-browning at margins.. Later Edition. Half-Leather. Good/No Jacket. 9 1/8" Tall. Hardcover Monograph. London, UK: Hodder and Stoughton, 1980. BRAND NEW & Collectible. 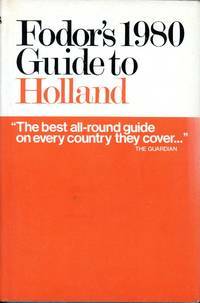 Travel guide to Holland in 1980. With passage of time, also a reference & resource to the Netherlands of quarter-century past. Where to go, how to get there and what to do when you've arrived. 330 pages with Foreword, maps, sketches and photographs, English-Dutch Vocabulary and Index.. First Edition, First Thus. Hard Cover. New - Collectible/New. Illus. by Elizabeth Haines (Drawings); Brian Woodfield (Catography); Peter Baker (Photography). Vintage/Travel Guide. Cold Spring Harbor: Cold Spring Harbor Laboratory, 1979. These are the proceedings of a meeting held at Banbury Center in May 1979. 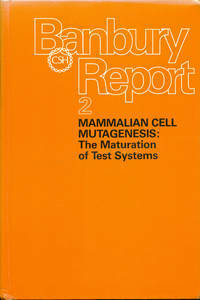 "This report of a conference on the rapidly expanding field of mammalian cell mutagenesis,... is the second of the Banbury Center series of highly focused explorations of biological risk assessment. The Banbury conferences give particular attention to methods, such as in vitro tests and the analysis of human medical data, for measuring risks from environmental sources of cancer, which in turn point to opportunities for prevention." The session topics were: Gene Mutation; Quantative Mutagenesis with Rodent Cells; Criteria for a Mutagen Screening System; Genetic, Biochemical, and Molecular Analysis of Mutation; Use of Mutagen Screening Systems; Quantative Mutagenesis of Human Cells; and Mutation, Cancer, and Progress with Mutagen Testing. Seven sessions, 35 papers, four roundtables, with tables, figure, halftones, Summary, Perspective, and Bibliography; plus Participants, Preface, Contents, and Foreword; Comments at the end of each paper. Covers show fading, nips at front leading edges, and general shelf-use; text is clean and strong.. Printed Coated Boards. Very Good/No Jacket. 9 3/16" Tall. Monograph. Sydney NSW 2073: Angus & Robertson - Harper Collins, 1995. Text/Soil spot to upper edge of title pg, and two check marks to pge 332, else New & Bright. An alphabetical list of 800 Australian and New Zealand wineries (with addresses, phones and hours of operation) and tasting notes on more than 1000 wines (with ratings, cellering details, best vintage vs. current vintage) - tough work, but somebody had to do it. The author is managing director of the Coldstream Hills Winery in Victoria's Yarra Valley. 608 pages with Contents and (list of) Distributors. Cover backstrap is creased, otherwise as new; text is strong and clean except for two pencil marks on page 332 (Penfold's).. First Edition, First Printing. Soft Cover. Near Fine/None as Issued. First Edition, First Printing. Praha: Olympia, 1974. Texy/BRAND NEW & Bright. Green linen boards/Fine. DJ/Good; sound w/nips, chips, small losses, closed tears to edges, and surface rubs. Sometimes translated as "The Feathered Serpent Shall See..." This perceptive and funny travel memoir is divided into three parts: I, Opereneho hada videti (Mexico); II, Noc v Lime (Peru); and III, Dejte mi balkon (Venezuela, Chile, Argentina, Brazil). 167 pages, three unnumbered, with drawings.. Hard Cover. Very Good/Good. Illus. by Jitka Kolinska (Illustrator). Czech Language Text. 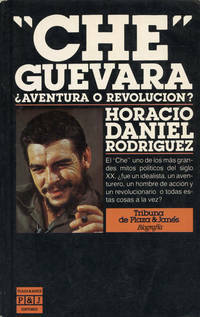 "CHE" GUEVARA : Aventura o Revolucion? Esplugas de Llobregat (Barcelona): Plaza & Janes Editores, 1985. Text/BRAND NEW. Softcover/VG/sound w/edge rubs and faint creasings to upper/lower front corners. Biography Argentian Marxist, physician, author and revolutionary, Ernesto "Che" Guevara (1928 - 1967). A major figure of the Cuban Revolution, and a symbol of rebellion in popular culture. A review of his life by an Argentine journalis: 1, Los anos mozos; 2, Aventura en la cima; 3, La "fatigosa tarea politica"; and 4, El fin del guerrero. 317 (+ 3 unnumbered) pages, with Prologo, Epilogo, Apendice, and Indice.. First Softcover Printing, 1985. Soft Cover. Very Good/None as Issued. Spanish Language Text. Athena: Ekdoseis Kleio, 1979. BRAND NEW COPY w/trace edge rubs. 4-fold pull-out perspective rendering of the Acropolis and its pre-Philippan surroundings (also BRAND NEW) to rear. A most handsome and professional guidebook. Contains some 40 pages of illustrated Greek text, and about 95 pages of color plates. About 5/8 of the book covers the Acropolis, and the balance, the exhibits, grouped by aithousa, in the Acropolis Museum. 135 glossy pages, with Frontispiece., and 16 3/4 x 24" (approximate) 4-fold pull-out perspective rendering of the Acropolis and its pre-Philippan surroundings. Covers are slightly rubbed at upper edge, otherwise clean and sound; text is strong and clean.. Soft Cover. New/None as Issued. Greek Language Text.